So, why have I avoided the fair? It’s partly laziness (um, hello? It’s far.) and partly frugality. That’s why I’m excited to share info on discount tickets, freebies, free events & special offers. 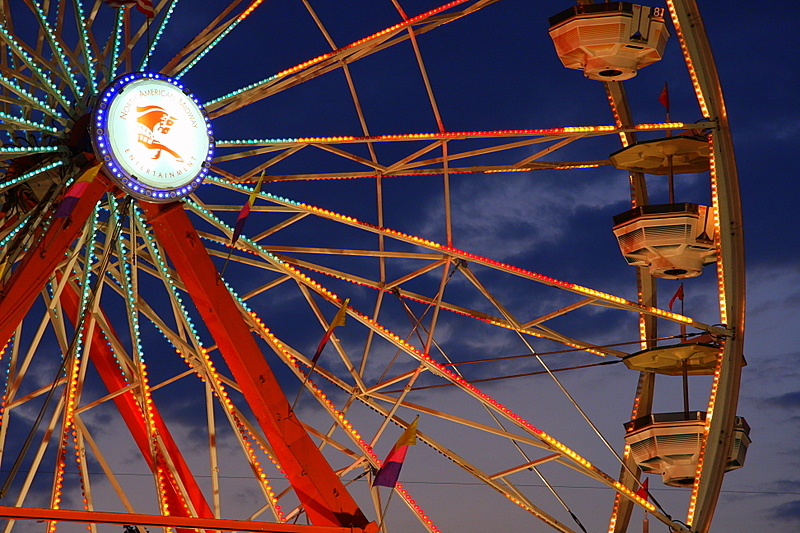 The Indiana State Fair arrives August 5th and lasts through August 21st in Indianapolis. In addition to the traditional featured concerts on the Grandstand stage, they are presenting plenty of free, live entertainment for your family to enjoy. Turns out? You can enjoy the fair inexpensively! I’ve rounded up all the details to finish off your free summer fun. For your extra entries to be counted, be sure to leave an additional comment directing us to your entry. Only one additional entry per method (i.e. While multiple tweets are appreciated it, only one will count as a drawing entry.) The contest runs until 8/7 at 11:59pm est. One winner will be notified by email on 8/8 and receive two Indiana State Fair admission tickets. Winner will have 48 hours to complete the claim form or a new winner will be chosen. I was provided with admission tickets for my family to join Family of Farmers for a special event on Monday August 8th, but all opinions are 100% mine. My favorite part of the fair is the food!!! Lemon Shake-ups, cotton Candy, Elephant ears…anything you want fried! We only live once! Funnel cakes and Lemon shake-ups! My favorite thing about the State Fair is the PINEAPPLE WHIP!! Rib-eye! Pineapple whip! Tractors with my son! I have to narrow it down to one thing??? Well then, the food. Specifically the dairy barn. I also love looking at the exhibits in the Home & Family Arts building. I love the corn dogs and elephant ears! My kids love all the rides and my husband loves the pork! Tweeted about the giveaway, liked Inexpensively and Family of Farmers on Facebook, follow @ininexpensively and @FamilyofFarmers on Twitter as well. =) Also have the RSS feed setup on my list! That should be 7 entries =) Haha WOOT – Mom will be visiting for the fair, hopefully can enjoy it with free tix from a great blog! I haven’t been to the fair in years. I need to take DS this year so we can eat some corn and see the baby piggies. Does it make me a bad mom that I have never taken my son to the fair? My absolute favorite part of the state fair is the old hooks drugstore. I love the old medicines like homeopathy and the pictures. Would lobe to go back in time and see the medical community at the turn of the century & not the 21st century. My favorite part is seeing the horses. I have not been to the Indiana state fair because we have just moved here. My favorite thing about other fairs is the animals. Our girls love them and so do we! We would love to win and check out the fair! Following family of farmers on twitter! Following family of Farmers on FB.